Try this quick and easy healthy breakfast recipe to make a tasty breakfast that is 21 Day Fix friendly in just a few minutes. 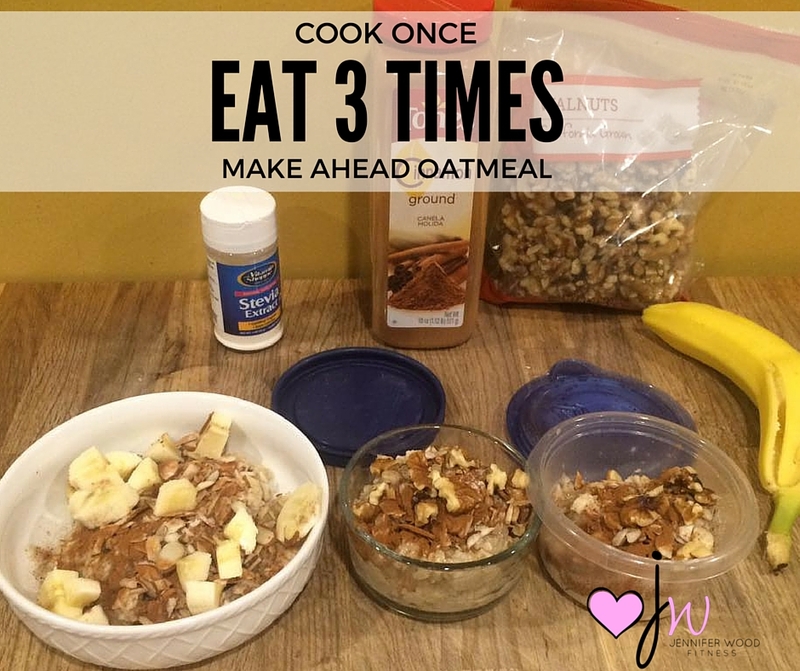 In a large bowl; microwave 1 cup of old fashioned oats and 1 3/4 cup water for 3 minutes and 30 seconds. Stir and separate into 3 storage containers or eat one and save 2 for another day. The ones you are storing in the fridge - you can add everything except the banana (they turn brown). When you are ready to eat them in the morning just microwave to reheat and add in your banana or other fruit! Nom Nom Nom! Follow me on Facebook for more easy recipes, fitness motivation and funny photos. Have questions, or need help with your fitness or nutrition or want to live a more intentional life, email me at jenniferwoodfitness@gmail.com and let's talk!